Air Belgium is the interesting airline that has a fleet of four Airbus A340-300 aircraft. The airline was initially planning on operating flights exclusively between Brussels Charleroi and Asia. Air Belgium started flying between Charleroi and Hong Kong this past summer, though the route was quickly canceled, as the airline came to their senses and realized their business model made no sense. 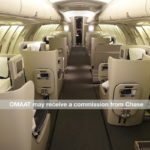 While Air Belgium has been claiming that they’ll launch their own flights again anytime now (in particular to Zhengzhou), in reality the airline has exclusively been operating charter flights on behalf of other airlines. This has worked out well for them, given the number of airlines in need of leased planes due to 787 engine issues, among other things. Most notably, Air Belgium has been operating flights on behalf of Air France and British Airways, to Lagos and Dubai, respectively. One of Air Belgium’s next charter operations has now been revealed. Last June I wrote about how Air Belgium filed with the US Department of Transportation requesting the right to fly to the US. As the airline explained in their filing, they planned to first offer charter flights, and then later add scheduled flights (which is highly questionable, but I imagine they figured they might as well try to get permission). Well, the first Air Belgium route to the US has now been revealed. Air Belgium will be operating flights on behalf of British Airways between London Heathrow and Newark. British Airways operates twice daily flights to Newark. 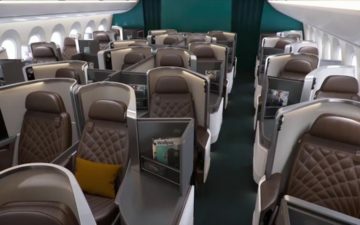 Through March 31, 2019, both flights are operated by 777s featuring first class cabins, while as of April 1 they’ll be operated by a combination of Air Belgium A340s and British Airways 787-8s, so they’re completely eliminating first class on the route, for the time being. Other than that, this is probably positive in terms of the passenger experience. 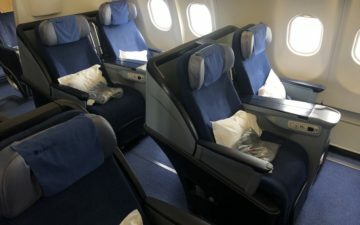 Air Belgium’s A340s have fully flat staggered seats in business class, which I’d say are better than British Airways’ 2-3-2 business class seats on the 787, and especially better than their 2-4-2 business class seats on the 777. Meanwhile in economy I’m a fan of the 2-4-2 layout, which I prefer to the 3-3-3 layout on the 787. Air Belgium A340s don’t have premium economy, though, which will probably be the biggest difference here. Air Belgium crews are generally excellent, so I think the only real downside is that their entertainment selection isn’t that great. A positive for World Traveller passengers. A negative for World Traveller Plus (non-existent on the A340) and I would argue a negative for Club World, at least if you can get a bulkhead window seat. Less privacy and a much smaller footwell. I assume it is BA catering and BA in-flight amenities? I actually think Air Belgium management is fairly smart. They started with the goal of operating their own flights and tested the market. It obviously didn’t work out like the expected, so they quickly pivoted to a more sustainable business model instead of stubbornly flying the same unprofitable routes and descending to bankruptcy. Looking at FlyerTalk, it seems EWR-booked BA passengers are not happy about the move, which is definitely in contrast to the more positive outlook here. F travellers seem to be doing ok though, they have a choice of full refund, rebook or travel AB J with partial refund, full F tier points and CCR access. It also looks like WTP travellers can either travel Y with partial refund, or opt-up to AB J (not sure how the opt-up works though). @JDS folks can also switch to a JFK, or presumably, a PHL flight. Not terribly convenient for many, but an option. BA currently operates BA185 with a mix of 772/789 and BA189 with the 789. The 787-9 worked really well for BA to Newark… only reason I can think of why they’d be downgrading to 787-8 is cause of the new 787-9 service to Nashville which is also a huge hit. @Lucky. I was going to e-mail you about this since I’m affected by this change. I received the e-mail yesterday about this change. Question, in EWR and LHR, I’m assuming that I’ll check-in with BA as usual, correct? Question, I purchased my ticket through AA (with AA flight number operated by BA). I’m assuming that I still get the usual credit to my AAdvantage account, correct? 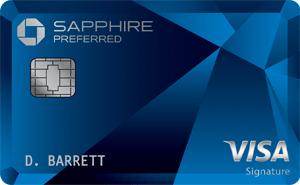 Apparently anyone booked already in WTP will be upgraded to Business, so great news for those in WTP. Another downgrade to consider by those affected is the quality of the IFE. If I recall correctly, Ben mentioned that the selection was pretty meager when he flew them. I’m wondering if they’ve improved that since then. Since BA185 is a full daytime flight, a terrible IFE selection will have time dragging by; better load up those iPads. I’m travelling from Heathrow to Dubai in March and Air Belgium (BA 105 using A343 a/c). So it seems they are operating at least one other route with Air Belgium metal. I’n no fan of BA but saying their business class 2x4x2 in 777s (or 2x3x2 in 787s) isn’t reflective of the product. Some of the seats are rear facing, this really translates into 4 seats and 4 footwells per ‘row’. @Adi_t I’m glad you mentioned it. 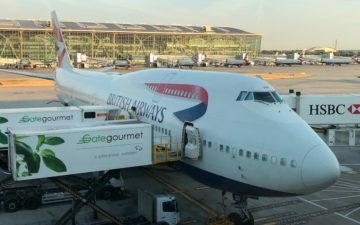 The key differences with BA are not the number of seats per row but the lack of storage and aisle access (negative) and the massive sleeping surface with no foot cubby (positive). Same number of bodies across the cabin even if they don’t number the rows alternately. You mention the excellent crew, however now that the regular routes have been axed, do you think some ad hoc staff members will be being employed to fit the routes they’re serving? Would be very interested to hear about the service standards. Couple of weeks back I booked my flight from Dubai to London in July on BA website. Was offered an upgrade in Premium Economy and I took it with a very good price. So I went to check and guess what? Found out the route is operated by Air Belgium. So for some reasons I ended up in Flight Radar and yes there’s Air Belgium A340. All right. So I go to Air Belgium site and they do have PE which is simply called Premium. From the photos I wasn’t impressed. Seats look same as the economy except for the configuration which is 2-3-2 instead of the Y class 2-4-2. But narrow armrest and one of the surprising positive things, the leg rest which is a huge thing for me.